Knox Mutizwa scored a stunning overhead kick on Sunday and the effort has been compared to that of Cristiano Ronaldo and Gareth Bale. Ronaldo and Bale netted similar goals during the previous season of the Champions League. The Portugues international was the first to strike during the quarterfinals against Juventus. He went about 1,6 m airborne to connect a cross from full-back Dani Carvajal. Bale delivered his finish during the final of the tournament against Liverpool, but the Welshman’s goal went a little higher than Ronaldo’s. 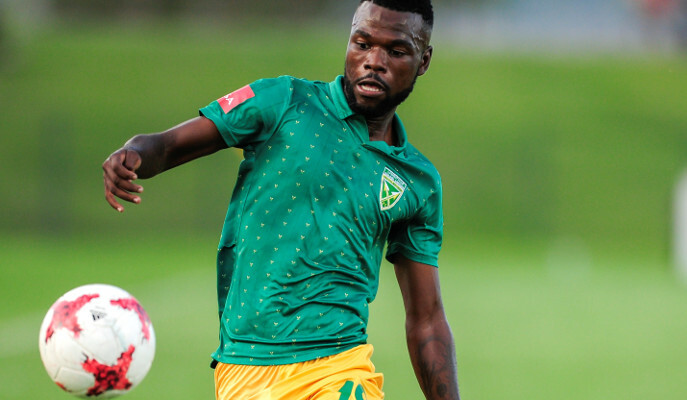 Now Zimbabwe international and Golden Arrows striker, Mutizwa emulated the two superstars, scoring an equally brilliant goal against Maritzburg United in ABSA Premiership season opener. Unlike the two former Madrid team-mates, Knox had to control the ball with his chest first as the deflected cross was too low before going airborne and smashes the ball into the back of the net. SuperSport TV has shared the three overhead kicks to see who did it better.